Originating in Rajasthan, an area renowned for its rich heritage of textiles and cloth, these fantastic one off pieces are made from up-cycled vintage saris and a mixture of old and new textiles. 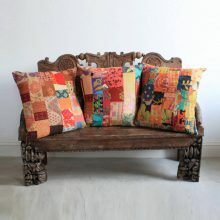 Each Kantha Cushion consists of a patchwork of reworked kanthas that have been cut up and sewn together combined with a plain cream Cotton Calico backing. 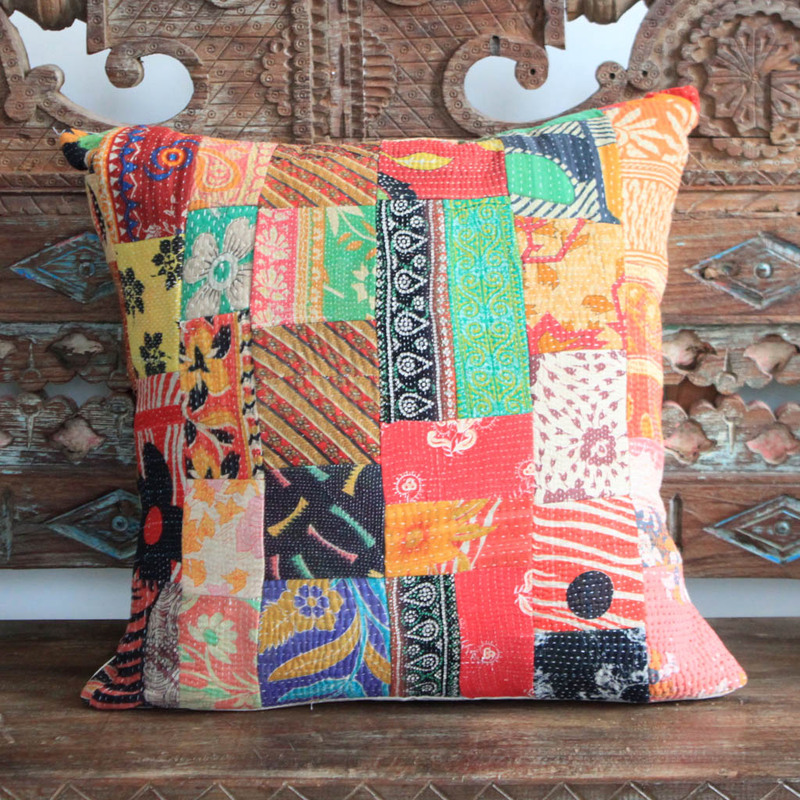 Your kantha cushion comes complete with high quality infill. 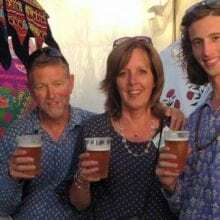 Coming from an area renowned for its rich heritage of textiles and cloth, these fantastic one off pieces are made from up-cycled vintage saris and a mixture of old and new textiles. Originating in Rajasthan, the Kantha has been used by resourceful women for centuries. 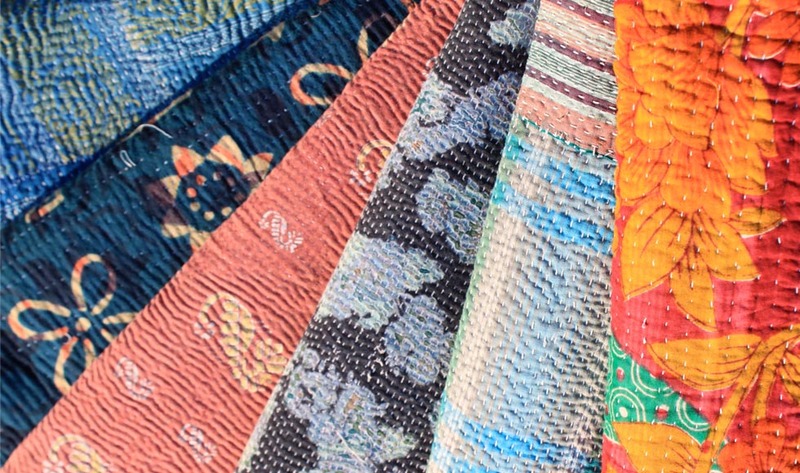 Each kantha consists of two different pieces of fabric sewn together by hand. 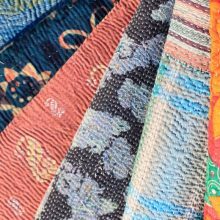 Kantha refers to the stitch used that runs the length of these quilts and cushions that gives the soft cloth a slightly wrinkled, wavy effect. 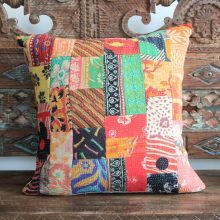 The Kantha cushion has an envelope seal that allows for the easy insertion of the cotton infill. 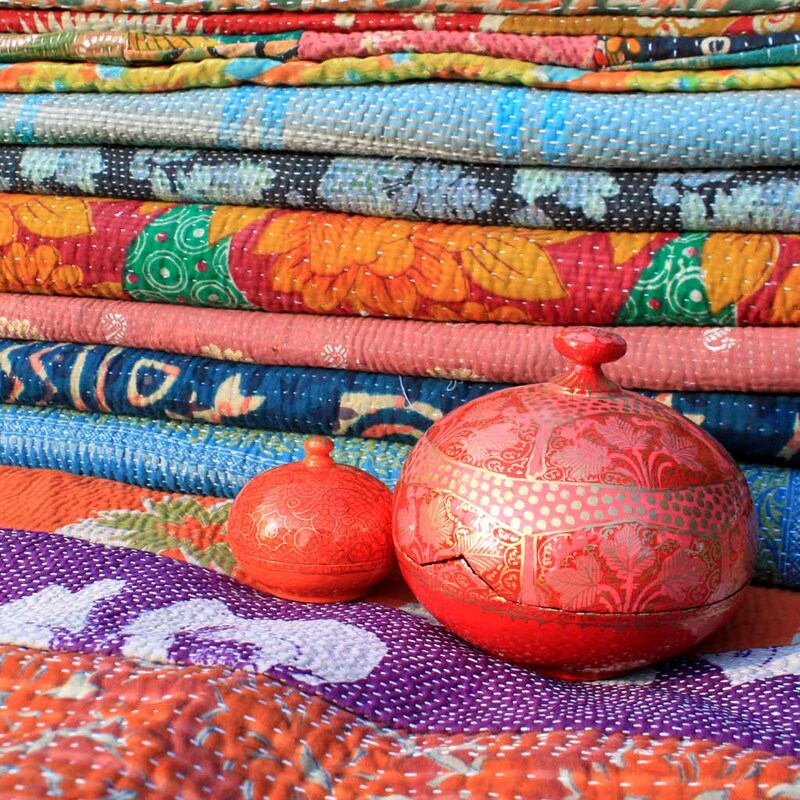 Choose whether or not your kantha cushion comes complete with high quality infill or without. 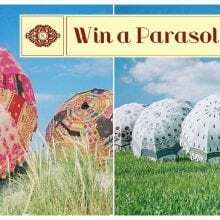 Each Kantha cushion is a one off, never to be repeated, individual item however they are all listed under the Kantha cushion listing, right here. 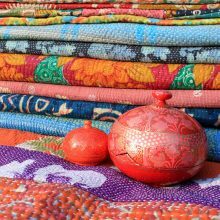 Each Kantha cushion is of a very high standard and consists of a patchwork of a variety of colourful saris, if there are particular colours you are looking for please contact us and we’ll do our best to accommodate you. 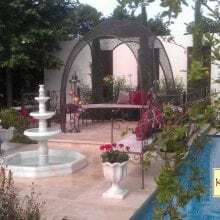 Perfect for a touch of individual style and added comfort around the home. The Kantha may contain slight flaws which have been repaired by hand, this only adds to the authenticity of the Kantha. Despite our best efforts to photograph each kantha accurately, colours may vary slightly. 100% High quality cotton. Machine washable at a low temperature.